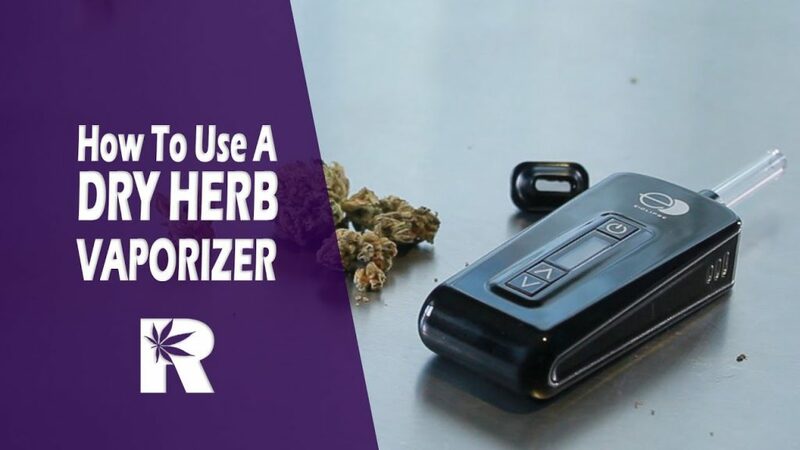 When it comes to portable dry herb vaporizers it may seem like pretty much a “no-brainer” on how to use it. You just pack it full, throw it on high and go to town… right? Well that will work I suppose but you might be missing out. There are a few factors that you can consider to insure that you are using your vaporizer and your cannabis to get the best benefit for you. There are a couple of main types and several configurations for portable dry herb vaporizers so choosing the right vaporizer for your needs can be one of the biggest factors you want to consider. The two main types of portable vaporizers are Convection or Conduction. Convection vaporizers such as the Firefly 2 use air to push the heat through the cannabis without actually heating the material directly. The conduction vaporizer, which are far more common, heat the marijuana by wrapping it directly against a heated chamber. Another consideration would be whether you prefer a top loading or bottom loading chamber on your vape. Those such as the PAX 3 here that load into the bottom can offer a cooler and smoother vapor as the long airpath gives the vapor time to cool. But for some vaporizers the long airpath can expose the vapor to unwanted flavors from the travel through the circuitry and plastic of the device. Bottom loading vaporizers may also have a weaker, more diffused exhaled vapor. Top loading vaporizer benefit from the purity of flavor from a short, isolated air path and often provide much larger puffs which many people prefer. The drawback of top loading vaporizers is that the heat of the vapor can be intense and the mouthpiece itself is also more likely to become uncomfortably warm. Metal or ceramic chambers can also make a difference in the flavor and performance of a vaporizer. Metal chambers such as the PAX 3 or LVSmoke Beast can offer great performance and heating times but many prefer the purity of flavor of a ceramic chamber. Many quality devices also offer the choice of a usually plastic, rubber or silicone Standard or an optional glass tube mouthpiece. These glass mouthpieces often provide a cleaner flavor without a real or perceived flavor of plastic or rubber. My personal favorite configuration is a top loading convection unit with a ceramic mouthpiece with isolated airpath and glass mouthpiece. That is why I am using the exceptional Eclipse vaporizer from NYVapeShop.com. Because this type of vape is the kind I have come to appreciate the most over time for the big hits and pure taste. Once you’ve chosen the correct vaporizer for your preference you’ll also have the choice of type of cannabis you prefer. 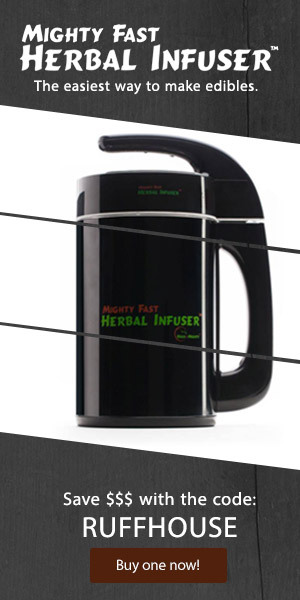 Many people opt for an Indica strain for it’s heavy relaxation and sedative effects. So if you’re looking to chill on the couch and watch a movie, you might want an Indica like a heavy OG. But maybe you prefer more upbeat, higher energy effects so you can focus or stay alert. In this case you probably want to opt for a nice Sativa strain such as Jack Herer. And of course you have Hybrid strains that can fall anywhere in-between or even offer some of their own unique effects. So you may find that Blue Dream or Girl Scout Cookies appeals to you. Whether using convection or conduction vaporizer or vaping a sativa, Indica or hybrid it is always very important when using a vaporizer to evenly grind your cannabis. This will make sure that airflow is ideal for convection vaporizers and also for conduction units. And for conduction vapes it will help insure that you heat the cannabis more evenly so you have less chance of the dreaded two tone or non vaporized cannabis. Also, make sure you are vaporizing properly cured cannabis that is not moldy or too wet burn in a joint. You don’t want to vape any cannabis you would not be able to smoke. Choosing the right temperature can also have a huge effect on your experience with a vaporizer. Not only can you change the flavor and temperature or smoothness of the vapor but you can also maximize the effects you receive by tailoring the temperature settings to your preference. Low Temperature (300° F – 325° F) Great for being able to stay focused and productive with subtly relaxing euphoric feelings. High Temperature (375° F – 435° F) More relaxing high with intense euphoria and sedative effect. And not only does the temperature you choose have an effect on how it makes you feel, but obviously too on how it tastes and smells when vaporizing. You may notice more of the piney and citrus aromas at a lower temperature and a more acrid popcorn aroma and flavor profile on the higher end. Adjust accordingly, try various combinations to dial in the perfect process and temperature for your preferences. Start low and then go high. Or another efficient process is to vaporize your cannabis at a low temperature and then keep your ABV, or Already Been Vaped Cannabis for future use in edibles or tinctures. However you end up vaporizing you marijuana I think you’ll agree that there are plenty of benefits to vaping over smoking in that not only is it less harmful to your lungs but you can also have more control over how the cannabis makes you feel and how it tastes. Thanks for the tips. I’m constantly searching for a new dry herb vaporizer for myself and scrolling all over the net to find good information about it.